New York Times Best Seller ". 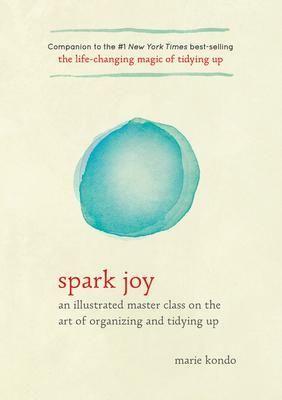 . . the organization expert who dazzled the world with her Life-Changing Magic of Tidying Up is back with more spirit-rousing advice." -- The Washington Post ". . .perhaps the world's only decluttering celebrity." -- The New York Times ". . . a literal how-to-heave-ho, and I recommend it for anyone who struggles with the material excess of living in a privileged society. (Thanks to Ms. Kondo, I kiss my old socks goodbye.) ... To show you how serious my respect for Ms. Kondo is: if I ever get a tattoo, it will say, Spark Joy!" -- PureWow ". . . her voice . . . is by turns stern and enchanted, like a fairy godmother for socks."